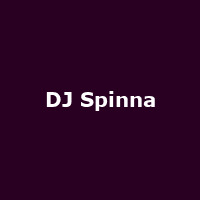 DJ Spinna is American DJ and producer Vincent Williams, from Brooklyn. He formed the band Jigmastas (with MC Kriminul) and is also a member of Polyrhythm Addicts. Albums include the 1999 debut: "Heavy Beats Volume 1", plus: "Here to There" (2003), "Intergalactic Soul" (2006) and 2009's: "Sonic Smash".